I’m sure that like me, you’re concerned about the future of our planet. You too share a belief that it is important that we leave a thriving natural world for future generations to know and enjoy. That is why making a Will is one of the most important jobs any of us has to do. You may choose to leave a gift to charity for many reasons - whether to carry on supporting a cause you are close to in life or perhaps you do not feel able to donate to a charity at the moment. Your reasons are personal but a decision to remember a charity in your Will could make a real difference, however large or small the gift. Residuary – a gift of all or part of the net estate (what is left after all taxes, specific bequests and costs or expenses have been paid), expressed as a share or percentage e.g. a tenth or 10%. Pecuniary – a fixed sum of money e.g. £5,000. Inflation can reduce the value of a gift so if you do leave pecuniary bequests you may want to update your Will periodically. Specific – a gift of a specific item or asset e.g. a painting, jewellery, or shares. If you would like to leave us land or for us to use a gift in a particular way please contact us to ensure it is within our remit and that we are able to fulfil your wishes. Bequests to a charity are free of inheritance tax and may reduce the amount of tax you pay. If you leave a gift to a charity in your will, its value will be deducted from your estate (your money, possessions and property) before Inheritance Tax is worked out. We always recommend seeking professional advice when making or updating your Will and we advise you to consult a solicitor. You are under no obligation to tell us if you do decide to leave us a gift, however we would be very grateful if you were to notify us of your intentions. 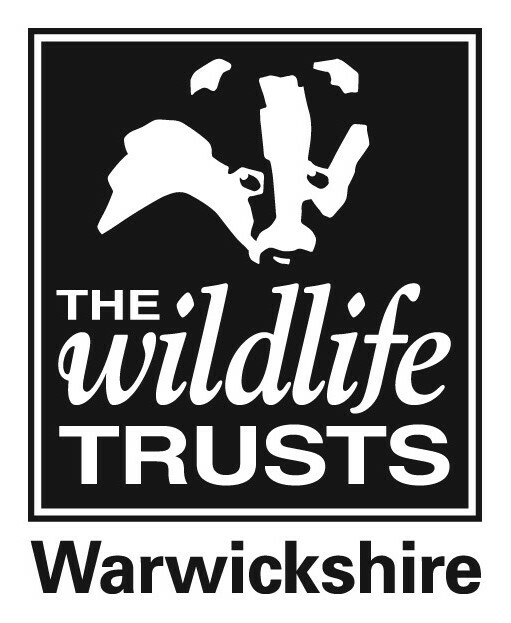 Letting us know enables us to say thank you, plan ahead for the future and, if you wish, keep you up to date with Warwickshire Wildlife Trust news and events. Our free booklet contains further information on types of gifts and what steps you will need to take should you decide to leave a gift to Warwickshire Wildlife Trust in your Will. To receive this booklet or to inform us of an existing bequest, please get in touch with Pip Bradley Vigor by calling 024 7630 2912 or email legacy@wkwt.org.uk. You can also write to us at Legacies, Warwickshire Wildlife Trust, Brandon Marsh Nature Centre, Brandon Lane, Coventry, CV3 3GW. In spring, primrose, wood anemone and yellow pimpernel carpet the woodland floor. Grassy rides wind through the wood where honeysuckle scrambles, and beautiful open glades with their dappled edges conceal wild strawberry and abound with bluebell and common spotted orchids. In mid summer magnificent butterflies including the White Admiral, Silver-washed Fritillary and Purple Emperor glide along sunlit rides. Ryton Wood is one of Warwickshire’s last remaining ancient woodlands left in the county, and is home to an abundance of flora and fauna thanks in part to a significant legacy from Colin Marsay. Colin did a remarkable thing for nature by remembering Warwickshire Wildlife Trust in his Will. When Ryton Wood came up for sale the Trust was immediately able to secure the future of this ancient Wood thanks to the extraordinary gift Colin left to the Trust. Bob Crick (wearing the cap), his sister Pat and her late husband Colin have been members of Warwickshire Wildlife Trust since it was founded in 1970. Over the years their family farm has been managed with wildlife in mind and today it is a wonderful, tranquil haven nestled in the Warwickshire countryside. We can’t take it with us when we’re gone. We are all getting on and we have to have plans to make sure we protect our natural heritage. I know my gift will be in safe hands with the Trust. We must aim to leave the land better than when we found it. We find it impossible to separate our philosophy of life from working with nature. Mentioned in the Domesday Book of 1086, Bubbenhall Wood has been wooded since at least this time. A beautiful mosaic of ancient broadleaf woodland, grassy rides and glades, meadowland and open pools, this jewel in our countryside is home to myriad species. In 2016 the woodland and meadow, encompassing 16 hectares of natural beauty, came up for sale. The site had been identified by the Trust as a vulnerable and important site for conservation, forming part of the largest area of ancient woodland left within Warwickshire today. Bubbenhall Wood owes its future, in part, to several individuals who all shared the same vision - a safe haven for wildlife in our county. Alongside a successful funding campaign, their collective gifts enabled the Trust to act quickly, securing the future of the woodland forever. Today, the Trust is working to connect Bubbenhall, Wappenbury and Ryton Woods to form the largest interconnecting area of ancient woodland in the county. Thanks to the generosity and forethought of some wonderful people, this vision will become a reality - a truly lasting and living gift.